TYPE A: Wall mounted unit with no underskirt. 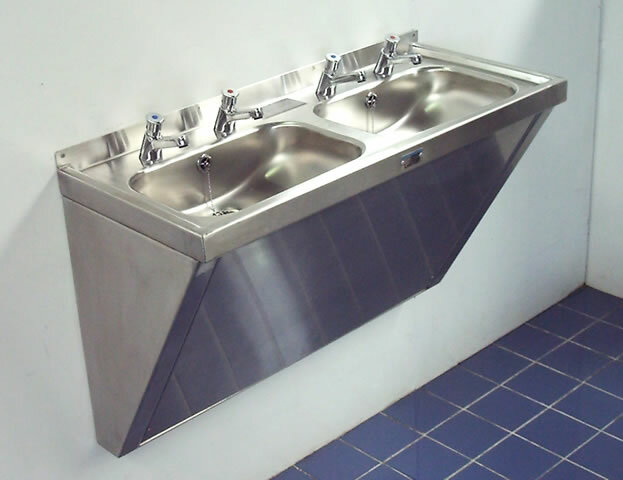 TYPE B: Wall mounted unit with a sloping shroud and removable access panel. TYPE C: Floor standing unit with a down to floor shroud and removable access panel. 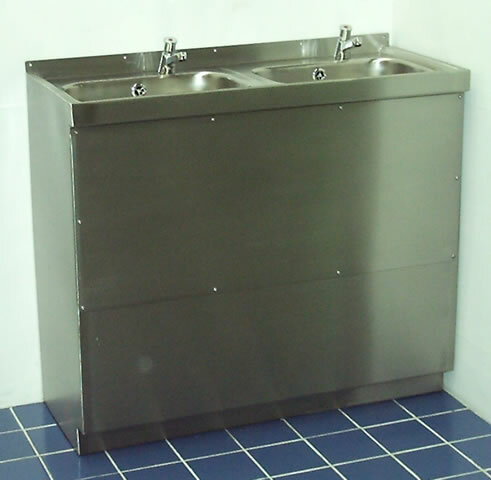 All units are 420mm wide with a length of 500mm per basin, and are supplied with 32mm (1¼" BSP) waste/overflow fittings. 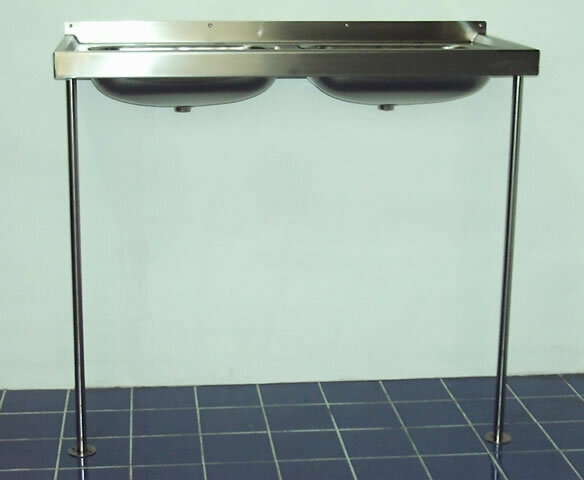 2 tap holes per basin are provided as standard but optionally one or both can be deleted.